Honey's name comes from the ancient Hebrew word meaning "golden" and it is a golden substance indeed. Honey is a must-have for every prepper’s pantry for three reasons: First, it’s one of nature’s most perfect foods. Second, it lasts virtually indefinitely. Third, it doubles as a topical antibiotic. Let’s look at these properties one at a time. Bees collect nectar secreted by flowers, mix it with enzymes from their digestive tract, spit it into a honeycomb, and then dehydrate it by fanning their wings until it is reduced to about 18% water. Honey has equal parts of glucose and fructose: the glucose is absorbed quickly and provides immediate energy, whereas the fructose is absorbed slowly and provides sustain energy over time. 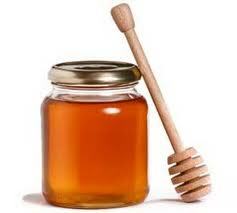 Due to the high level of fructose, honey is about 25% sweeter than ordinary sugar. A tablespoon full of honey contains about 60 calories, which is about the same as sugar, but in the sugar, fructose and glucose are linked together, whereas in honey they remain separate. Honey is fat-free and cholesterol-free and contains 22 amino acids and a variety of essential minerals perfectly designed to maintain metabolism in the body of a bee. As it happens, it’s perfectly designed to maintain metabolism in the body of a human as well, making it one of the most perfect foods indeed. 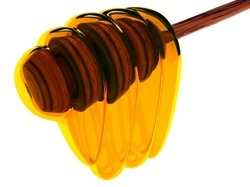 So, aside from the whole botulism thing (see sidebar), yes, honey is indeed one of the most perfect foods. There is one drawback to honey, which is that it cannot be fed to children under one year old. This is due to the risk of botulism. Botulism spores are everywhere, in the dirt, carried by the wind, blowing around as dust, and landing on everything. When bees collect nectar, they’re also collecting these microscopic botulism spores and mixing them with the honey. Normally this isn’t a big deal; botulism is only dangerous when it’s concentrated. Adults can eat honey without fear of botulism, but babies have an underdeveloped immune system and do not develop a full complement of protective digestive bacteria until they are about a year old. Because of this, they have less resistance to botulism than adults. Does it last forever? Well, honey found in King Tut’s tomb was 2,000 years old and it was still good, so the answer is absolutely yes. Honey tends to crystallize and solidify over time, but it reverts to its original form if it’s warmed gently by placing the container in a pot of warm water. (Be sure not to boil the honey, which destroys enzymes.) Honey keeps well in air-tight plastic or glass containers, but do not store it in metal cans because the acids in the honey will oxidize the metal, ruining the taste of the honey. It can be kept indefinitely at room temperate and it can be frozen without harm, but excessive heat ruins the nutritional value, and it’s best to store honey where the temperature remains constant, such as the tomb in the middle of a pyramid, or perhaps a basement shelf. Can it be used as an effective ointment? Although bacteria usually thrive in sugary environments, honey has an acidic pH value of between 3.2 and 4.5, making it a highly unfavorable environment for bacteria. Furthermore, because honey is so high in sugar and so low in water, it acts like a desiccant, drawing the water out of anything it comes into contact with, including bacteria, which then die. This desiccating property of honey also means that when it’s used as an ointment, it draws excess fluids from the wound, helping to reduce inflammation. Finally, when moisture is added to honey (such as from a weeping wound), a chemical reaction between water and an enzyme produces hydrogen peroxide as a by-product. Of course, hydrogen peroxide is a well known antiseptic. Ancient Egyptians used honey for all manner of problems, and during World War I, honey mixed with castor oil was used to treat battlefield injuries. It’s effective for treating bedsores, burns, sunburns, cuts, scrapes, rashes and so forth. While enjoying your honey, keep in mind that the total output over the lifetime of a single honey bee might equal 1/12th of a teaspoon. To make one pound of honey, bees in a colony must visit about 2 million flowers and fly over 55,000 miles. They do this because they know they must get through an entire winter without having any other food available. Are you willing to work that hard?